Each time a test within a suite completes, a measurement is produced containing the duration of the test. If the running tests parameter is true, then each time measurements are collected by the Periodic Measurement Collector, two additional measurements are produced for each test. The first, running, is a count of how many tests are running at that moment. The second, running_duration, is the total duration that those tests have been running. Add the plugin to your project and configure it to run when needed. Use the Running tests parameter to turn on/off the running and running_duration measurements. Chronograf and InfluxDB provide a powerful toolset for collecting, analyzing and charting time-series data. When combined with the Periodic Measurement Collector plugin and the Send Measurements to Influx plugin, you can easily see the average duration of each completed test in Chronograf. This chart shows the test duration increasing significantly over time. 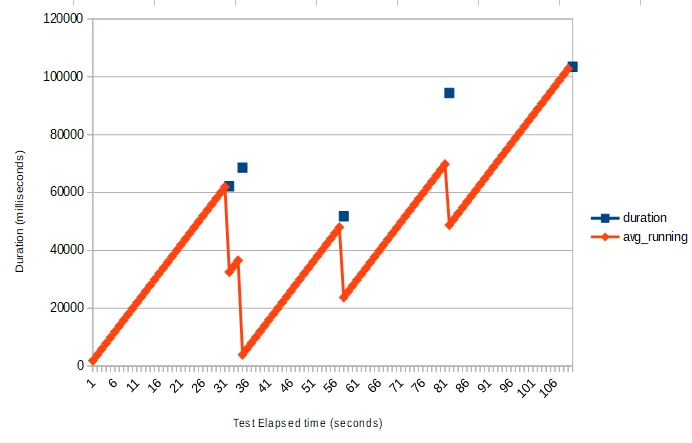 You can also see the running duration and the total number of tests running. 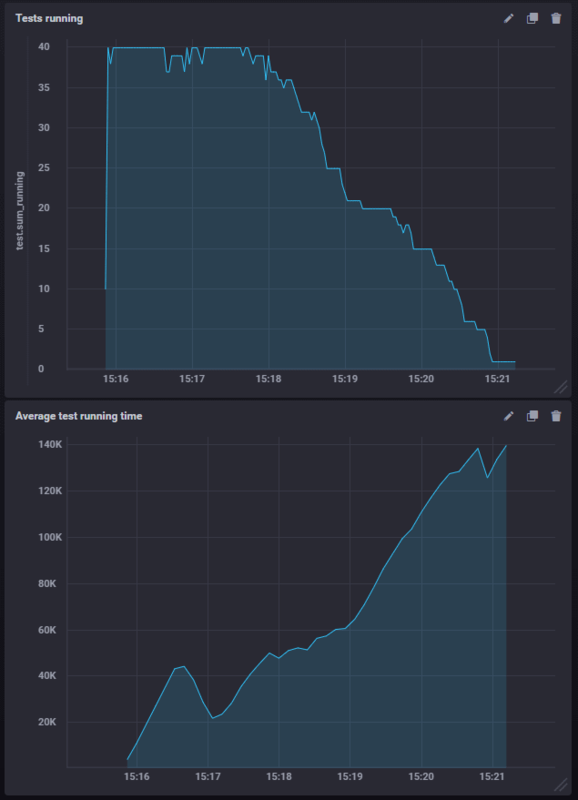 These charts show that even as the number of concurrently running tests is decreasing, the average running duration of the tests is increasing. Note that if you are running Muse tests in parallel on many machines, the CSV files would need to be merged to provide higher-level insight into the system performance. 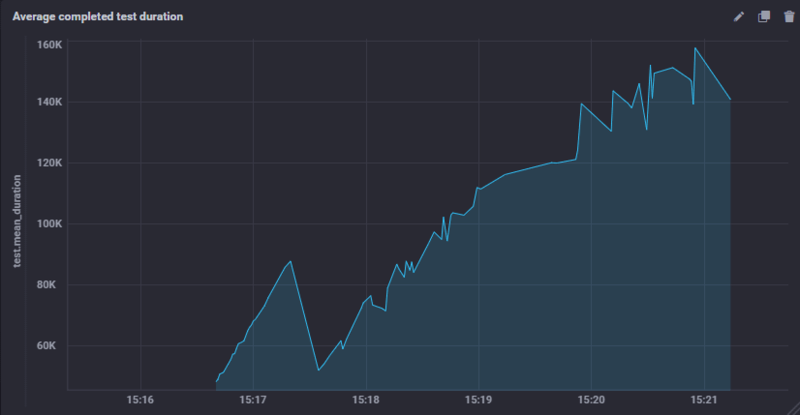 Are you using InfluxDB orChronograf for analyzing load test measurements? We’d love to hear about it! If you have written about it, send us a link and we’ll post it here.